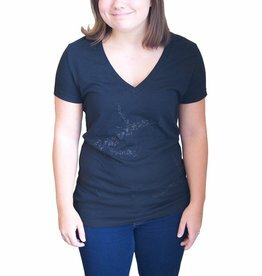 The printed black design on a black shirt evokes the epic, mythical feeling of Esa-Pekka Salonen’s composition Nyx which both inspired and provides the score for Obsidian Tear. 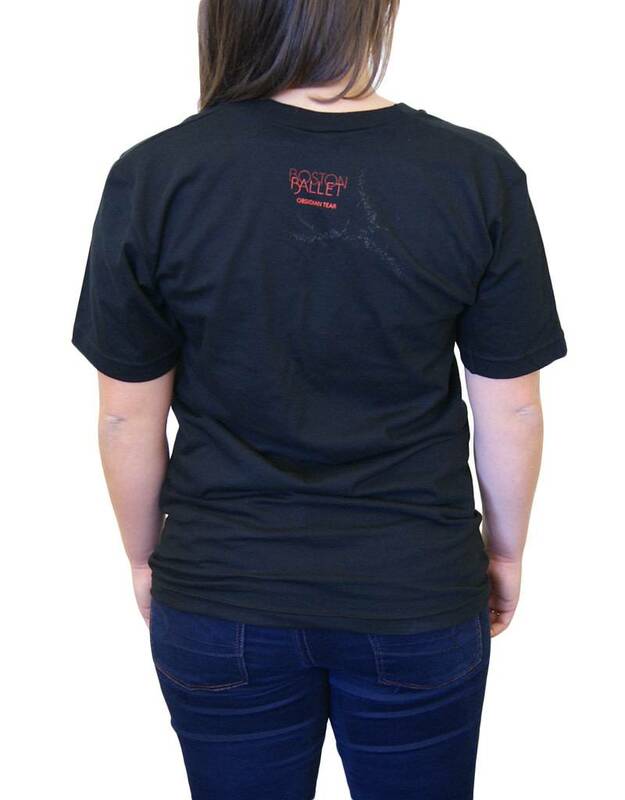 Boston Ballet is printed in red on the back of the shirt adding a subtle pop of color. 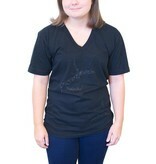 Classic fit V-neck shirt is 100% cotton. 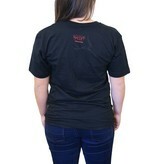 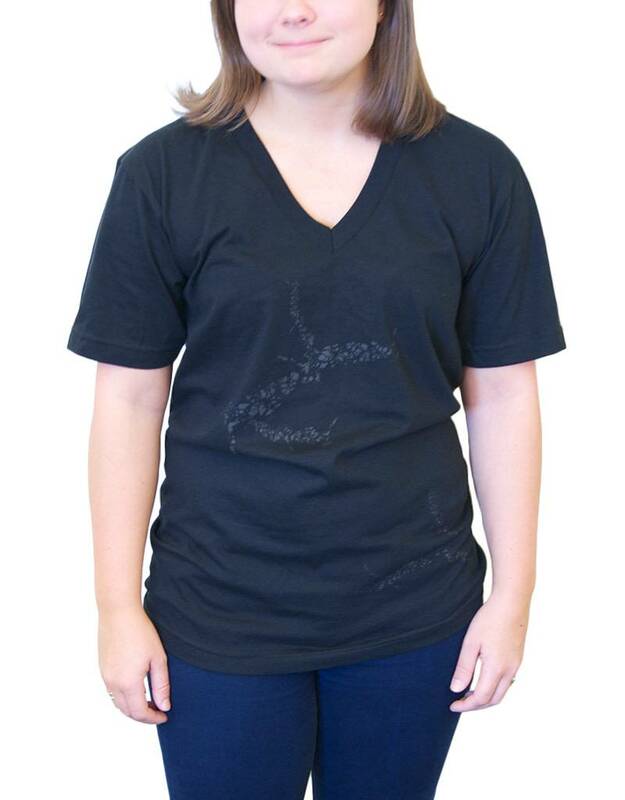 Fitted V-neck shirt is 100% cotton, featuring a subtle black printed design.